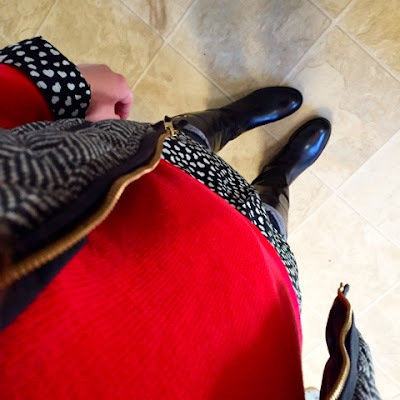 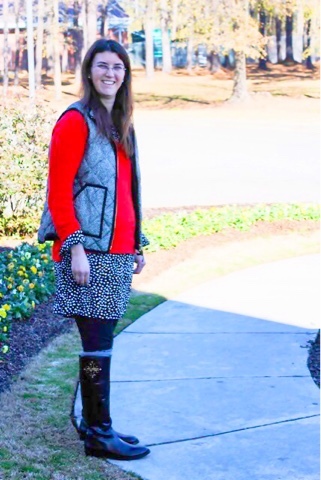 Today, I'm sharing an outfit idea for Valentine's Day. 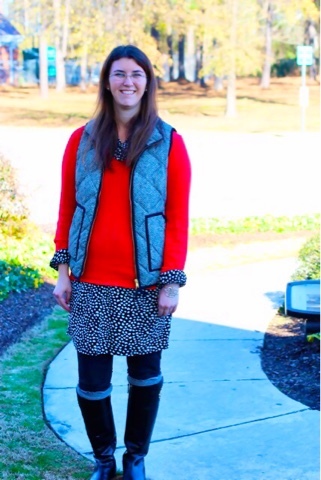 The dress I'm wearing is from last year at Old Navy but I linked some similar dresses below. 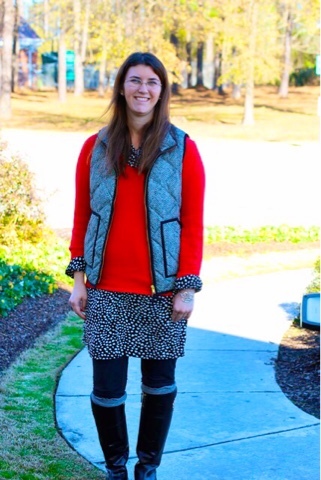 It was cold this past Sunday when I wore this so I just threw a red sweater over the dress for warmth and to add a pop of color!